We first met Melissa Cistaro when she pitched her book to us at a Pitchapalooza we did for Book Passage (one of America's great bookstores) in Corte Madera, California. We've been doing this so long we can usually tell when someone has a book in them and is capable of getting it out successfully. And we knew Melissa had the right stuff as soon as she opened her mouth. Arielle then made a suggestion to Melissa that she calls perhaps her greatest move as a Book Doctor: she told Melissa that she should get a job working at Book Passage. This is what separates the doers from the talkers. Melissa actually did it; she got a job at Book Passage. Eventually she became the person who introduces authors when they do events at Book Passage. Some of the greatest authors in the world come through that bookstore. Now Melissa gets to move from being the person who presents authors to the author being presented. So we thought we would pick her brain to see how she did it. Melissa Cistaro: This may sound odd, but I think that becoming a mother is what turned me into a writer. Even in college, I still considered writing one of my greatest weaknesses. But when I saw my own child for the first time, I knew I had to figure out how to tell the stories that had been hiding inside of me for so long. I started taking classes at UCLA Extension, and it was there that I caught a glimpse of my writing voice--and after that, I couldn't stop writing. I've always believed that motherhood opened a portal inside of me that gave me permission to write. 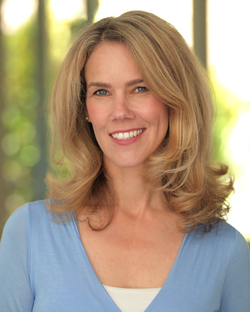 If I hadn't become a mother, I don't know that I would have become a writer. MC: In the house I grew up in, we rarely had access to books. I was not a child who discovered books early -- they came late for me, and when they did, I had a lot of catching up to do. One of the first books to completely mesmerize me was Arundhati Roy's The God of Small Things. The language was magical and the story deep, evocative and riveting. I am often pulled into stories through language. Fugitive Pieces is another book that I drew me in with its incredible poetic narrative. Divisadero by Michael Ondaatje and a short story collection by John Murray called A Few Short Notes on Tropical Butterflies. Oh this is hard! I could go on and on with favorite books. MC: I started this story as a work of fiction. It was easier for me to dive into it as someone else's narrative rather than my own. For years, I wrote calling myself Paisley Chapin in the story, but eventually I realized that I wasn't very good at drifting away from the truth, as I knew it. Early on, I showed my oldest brother some chapters, and he said to me, "Sorry Sis, but this ain't fiction you are writing." MC: The book was very difficult to hand to my father. There were many facets of our childhood that he wasn't aware of -- and it was definitely emotional for him to take in our story on paper. He has been exceptionally supportive of the book and, ultimately, a proud father. My brothers also have been generous and supportive. Naturally, there were some details that we recalled in different ways, and we have since had some great conversations about our childhood. MC: Classes and workshops were crucial along the way, as was being in a writing group. But I eventually got to a place in the process where outside input began to stifle me as a writer. The feedback was always helpful, but I also had to take responsibility for what I ultimately wanted to write. If there are too many voices and opinions, it can get overwhelming. I've become less fond of workshopping and more of a fan of having a few select and trusted readers. MC: Whoa -- this is an interesting question. I don't know if I've ever considered how riding has informed my writing. Communicating with an animal requires a great deal of paying attention and observing, and I think that certainly translates into the writing process. I once had to throw myself off of a horse that was running at full speed back towards the barn. I could see the low awning of the barn ahead, and I knew I had lost control of the horse. I didn't want to end up trapped under the awning or thrown dangerously sideways -- so I made a decision to pull my feet out of the stirrups and make a flying dismount. I skidded and tumbled across the hard summer dirt, landing safely (and sorely) between two spindly birch trees. I think, whether we are parenting or writing or on a runaway horse, we have to make big decisions and sometimes we don't know precisely what the outcome will be. TBD: You've now seen hundreds of authors do events as event coordinator at one of the great bookstores in America, Book Passage. What mistakes do you see writers make? What do you see successful writers do to help themselves? MC: I have a wonderful job at Book Passage. I introduce authors, host their events and read their books. I find that, for the most part, authors are truly grateful and gracious when they come to Book Passage. I learn something new at every event I host. I take a lot of notes. We always appreciate when an author stands up and thanks independent bookstores for the hard work they do, because we certainly don't do this work for the money (which is essentially minimum wage). We do this work because we love working in the landscape of books, ideas and creative minds. MC: The publishing process is full of surprises, and I had to carry my publishing "Bible" with me everywhere. (That would be your book!). There are so many things you can learn in advance about how publishing works and all the ins-and-outs of contracts, deals, agents, etc. It was a tremendous and challenging education going through the publishing process. The landscape is changing so fast that it's important to keep informed. I love meeting writers at Book Passage, and I appreciate when they tell me they are a writer because I know how challenging this path is. I also know that one day they may come in and tell me that their book is being published -- and guess who is going to make sure that they get a reading at Book Passage? Melissa Cistaro's stories have been published in numerous literary journals, including the New Ohio Review, Anderbo.com, and Brevity as well as the anthologies Cherished and Love and Profanity. She works as a bookseller and event coordinator at Book Passage, the esteemed independent bookstore in Northern California. 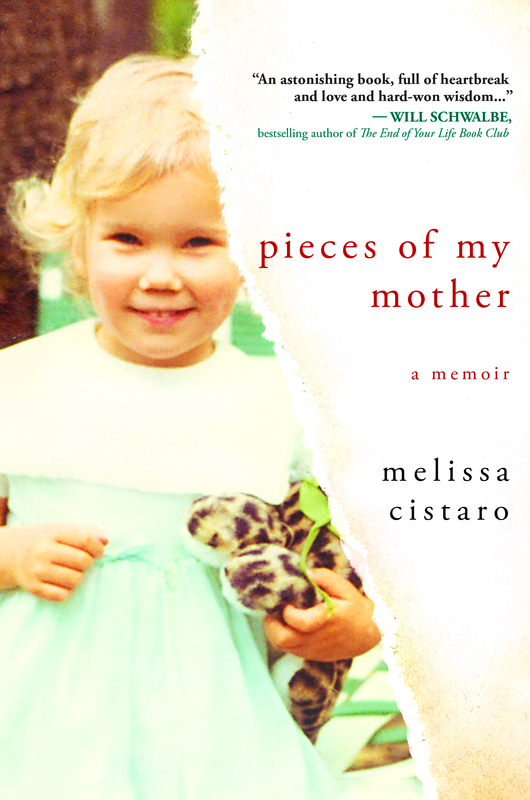 Between the years of raising her children, writing, bookselling, teaching horseback riding, and curating a business in equestrian antiques - Melissa completed her first memoir, Pieces of My Mother.